My claim was denied. What do I do now? A hearing must be requested in your claim within 60 days of the date on the denial. While it is possible that you might have a good excuse to request a hearing within 180 days after the denial was mailed, as a practical matter, it is very unlikely. Therefore, you need to contact us immediately so that we can request a hearing. I was hurt at work. 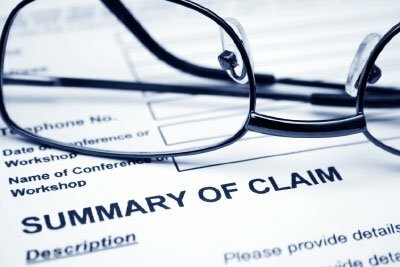 Do I really need to file a claim? The time limits for filing claims are very strict. You must immediately let your supervisor know that you were hurt, and you should do that in writing. If that goes past 90 days, you may be unable to pursue your worker’s compensation claim. Once notification is made, then the claim must be filed within one year of the date of injury. My claim has been accepted. What kind of benefits do I get? If the claim is classified as disabling, then you are entitled to time loss benefits if your doctor notifies the insurance company in writing that you are disabled from your regular job. You are entitled to all reasonable and necessary medical care that is related to the injury. If your claim was accepted as “nondisabling” and you feel that you will have permanent disability or have missed more than three consecutive days from work as a result from your work injury then you must request reclassification of that status within one year of the Notice of Acceptance to make it a disabling claim. I was offered a light duty job. Do I need to take it? If your employer has offered you a job in writing that your attending physician has approved and you choose not to take the job, then your disability benefits will be reduced as if you had taken the job. Furthermore, if you are terminated for violation of work rules or other disciplinary reasons, then the insurance company can treat you as if your employer had offered the job and reduce your disability benefits accordingly, even if they don’t actually offer you the job. My doctor says I am not going to get any better, but I can’t return to my regular job. What now? If your wages at time of injury were high enough and you can’t return to your regular job and you can’t return to a job that pays at least 80% of what you were making when you got hurt, then you may be eligible for vocational assistance. Vocational assistance can take the form of retraining of 16 months (up to 21 months in some cases). During the retraining period you would be paid time loss and your tuition and books would be paid up to certain caps. The insurance company wants to take my statement. Do I need to do that? By law, you need to cooperate in the investigation of your claim. Statements are both a fishing expedition by the insurance company and an opportunity to make sure that your version of the injury event doesn’t change later. It would be wise to have the assistance of our office in preparing for a statement. You must, however, cooperate with the insurance company in letting them take your statement within 14 days of the request for the statement by the insurance company. I have been hurt and I am out of work and I really cannot afford an attorney. How can you help me? Moore & Jensen has been assisting injured workers in prosecuting their claims since the mid-60’s. We work on a contingency fee basis meaning that we get paid to get results. If we get you results, we will get paid (sometimes by the insurance company in addition to any benefits we get you). Initial consultations are free under any circumstances, so please call and schedule an appointment. I have just received a notice that I need to attend an Independent Medical Evaluation. What is that? Should I go? A so-called “Independent Medical Evaluation” is a doctor or panel of doctors that has been hired by the insurance companies to assist them in making a decision about whether they are obligated to pay for your claim. The doctor(s) are not on your side. By law, you must attend the evaluation and cooperate with the doctors. You are not obligated to undergo invasive tests if you do not wish to do so. In all evaluations, except psychiatric evaluations, you are allowed to have someone in attendance with you. You are also allowed to make comments to the Department of Consumer and Business Services about the quality of the evaluation and to tell them how you were treated by the doctor or doctors. This is something that Moore & Jensen can help you with and we would be happy to talk with you about this process. The insurance company has just offered me a settlement. Should I take it? It is very difficult to evaluate a case without the full record, and we would never presume to advise you to take or refuse to take a settlement without having opportunity to look at the full record. Our experience here at Moore & Jensen is that the insurance company rarely makes a fair offer, and that for our work on the case, we can significantly increase the value of potential settlement. We can also advise you as to the ramifications of settlement to make sure that you fully understand whether settling your case is a good idea or not a good idea. You should feel free to contact us so that we can discuss this further. I just received a Notice of Closure on my claim. What does this mean? If I hire an attorney, do I have to pay that attorney any of the money that has been awarded by Notice of Closure? The Notice of Closure means that your time loss is going to stop. If you have been receiving time loss up through the date of the Notice of Closure, then an overpayment will be declared and the insurance company will recover that overpayment out of your permanent disability. The overpayment will be the money paid to you from the date your condition was declared medically stable through the date of the Notice of Closure. The award of permanent disability (assuming one was granted) will be paid out to you on a monthly basis, usually beginning on the 30th day after the Notice of Closure issued. If the Notice of Closure awards you disability in excess of $6,000, then you cannot get it in a lump sum unless you give up the right to challenge the Notice of Closure. Should you hire us, we would be happy to get the medical records and determine whether the award of disability was appropriate, discuss with you the various options for challenging the Notice of Closure and pursue any of those options that you wish. We are not entitled to be paid out of the money granted by the Notice of Closure because we were not instrumental in getting you those benefits. While I was working someone other than my employer or co-employee negligently injured me. Do I have a worker’s compensation claim? Do have any other type of claim? So long as the injury occurred in the course and scope of your employment, you should have a worker’s compensation claim. If the injury happened as a consequence of someone else’s negligence, then you have what is called a third party claim. You have the right to sue the negligent party to recover damages. You have two years from the date of injury to file that lawsuit, but it is necessary to begin preparation on that case well before that two year statute of limitations. Accordingly, you should CONTACT US! immediately so that we can begin working on your claim. I was working on a construction site and stepped in a hole that wasn’t covered up or marked. Do I have a claim? Yes, you have a worker’s compensation claim at the very least. You may also have an Employer’s Liability Law claim if the general contractor failed to take every practical means of making the workplace safe and/or violated an OSHA regulation or safety rule and that led to your injury. I got hurt at work and filed a worker’s compensation claim. The worker’s compensation carrier has accepted the claim and now they have sent me a Third Party Election form. What am I supposed to do? The first thing you should do is to consult an attorney. CONTACT US NOW! Third party cases involve your right to sue a negligent third party (i.e. someone other than a coworker or your employer). This may take the form of an employer liability law claim or a negligence claim. Assuming you want to pursue that claim to attempt to get some compensation out of that third party claim, you need to sign the “A” election so that you will retain your control over that third party claim.